1. Eat food while you drink. It is particularly good to eat high protein foods such as cheese and peanuts, which help to slow the absorption of alcohol into the circulatory system. Many cultures consume alcohol only with food to prevent various problems. 2. Cultivate taste. Choose quality rather than quantity. Learn the names of fine wines, whiskeys, and beers. Learn what beverage goes with what foods. 3 Appoint a designated driver. Have someone available who will not be drinking and will drive all drinkers home. This is critical if the person has consumed more than one drink per hour. 4. Respect the rights of individuals who do not wish to drink. It is considered impolite to attempt to get people to drink who do not wish to. They may abstain for religious or medical reasons, because they are recovering alcoholics, or they just may not like the taste and effect it has on them. 5 Avoid drinking mixed drinks on an empty stomach on a hot day. This might produce hypoglycemia, which can cause dizziness, weakness, and mood change. 6. If you know that you will have to drive after consuming alcohol, limit your consumption to no more than one drink an hour. In reality many people who have a drink with a meal have no other option other than to drive home. Consuming NO MORE than one glass of wine, beer or mixed drink with a meal in a hour is generally safe for driving. 7. Upper limit of drinks for males is 21 and for females is 14 drinks per week. Most studies suggest that these limits are safe for health. 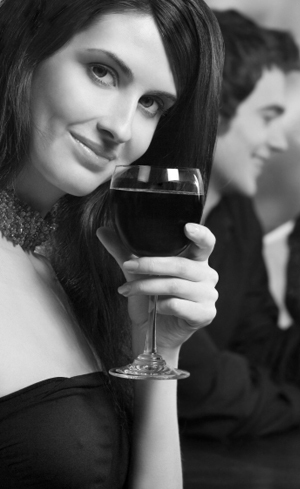 In older individuals moderate drinking may help prevent against heart disease. This amount, of course, is spread out over a weeks period. This means for males no more than 2-3 drinks and for females 1-2 drinks per day preferably with meals.